Launched in 2006, Google Trends is the magic wand for marketers. 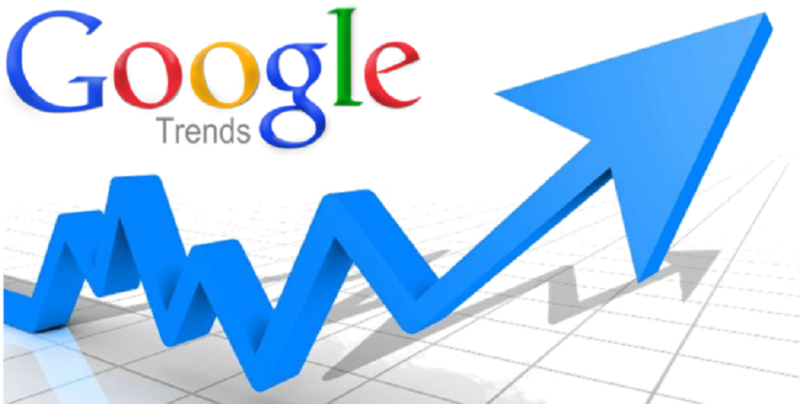 If they know the tricks they have to play, Google Trends will do wonders in the world of SEO. In this article, we shall see how Google Trends can be a digital marketer’s best friend. For many of you who don’t know, Google Trends provides populated data of all the searches made by people over Google from various locations, in various time spans and about various topics. It provides valuable insight into the real time search data, therefore, providing marketers with information about their customers. It gives you the intent of the searchers on Google and helps you to make predictions in regard to your business. Many important decisions about marketing a product or a service can be made with the help of Google Trends. For example, if you look at the data of people searching for ‘buy a surfboard’, you will see rise in searches (peaks) during April to June. The reasons being the summer season which invites people to do surfing and that’s why they buy surfboards. However, if you look at the data of people searching for ‘buy a snowboard’, you will see high volume of searches (peaks) in winter months of November, December, January and February. The reason seems fairly easy to comprehend – the interest of people to go for winter sports. A smart digital marketing company will now utilize this data to place ads of surfboards during summer months (when searches are higher) and ads of snowboards in winter months (for the same reason). Also, I must mention here that a good businessman will be able to predict that during summers the demand of snowboard is negligible and during winters the demand of surfboard is negligible. So, what he must do is to have both the products on sale so that his business keeps running round the year. The underlying interests, desires, attitudes and beliefs of users become easily predictable with the searches they are making on Google. What people are searching has a directly proportional relationship with the intent of the users. You actually know in what part of the world what thing is being searched and to what extent. Search engine optimization can also be helped by Google Trends. With the ability of Google Trends to segment trends by location, search terms, topics, categories, and time span, it gives SEO experts much larger possibilities to explore than the traditional SEO tools. For example, you are trying to rank an online dating site on Google. You must have done a keyword analysis, but you must not be knowing if that list of keywords (online dating, online dating site, best online dating, find a date online, get a date online, etc.) has those terms that are being searched more frequently than ever. If you try to find out the interest of searchers over time for a particular keyword on Google Trends, you can see if it is ascending or descending while progressing and choose whether or not to use that particular keyword in your SEO strategy. Likewise, you can try for all keywords on your list and get a creamy layer of keywords that you must use. If you still have a long list and need to shortlist the keywords, compare the search terms in the explorer section of Google Trends. You will be able to compare 5 keywords at the same time and you can drop the ones which have relatively less search volume. On the contrary, if you have a shortage of keywords, Google Trends can help you there too. It provides you related queries which are nothing else but related searches done by users to find exactly what they want. You can pick up keywords from there, and extend your targeted keyword list. By now, you must have realized that Google Trends is a tool that takes marketers closer to what user’s intentions are and what they are searching for every day. It lets you know what is in demand and at what time not just on Google search engine, but also on YouTube, News, Images and Shopping verticals. The overall data that Google Trends places before you can provide a good guide to the historical demand for a search term over the Internet. Based on this historical demand, you can base your content strategy and rank for the most relevant keywords. Taking the same example that was mentioned above of an online dating site, you don’t have to worry about the content strategy if you know what people are searching for. You can frame content around the queries and draw people’s attention towards your site in the first place. At the second place, you can produce reactive content for audience engagement based on the recent happenings around the world and connect it with your business. This builds. A good brand reputation and does indirect marketing. If you build your content around the search terms which are likely to be in demand in the near future, you have a good chance of getting discovered by people who are looking for you. Digital marketing has been done and will go on as long as the Internet and the World Wide Web exist. But optimizing the efforts for maximum profits is central to the hard work that each company puts in. If Google Trends can help you to save your time, money and resources, why shouldn’t you be using it? With all the above being said about the role of Google Trends in providing effective digital marketing solutions, here are 5 ways in which you can use Google Trends for making the most out of your SEO strategy. The keyword planner by Google has long been a very faithful SEO tool but it is time to take keyword research a level up. You can use Google Trends in the manner explained above to focus your efforts only on those keywords which are already indexed and are being searched. If you will compare the ranking time span, you’ll see a considerable difference between the pages that had indexed keywords and that didn’t had indexed keywords. Try it once. By the word new, I mean the 15 to 20% of the total searches made every day, which have no or little content on Google. If you are able to discover them and you are able to craft your content around it, you have a very low competition to be discovered by millions of people across the web. Tap the interest of people into your marketing needs. Pour your creativity. The historical data that Google Trends arms a digital marketing agency with, is unexplored in terms of analysis. If you spend some time in person with the big bucket of data, you will be able to predict the market moves. You will know instead of claiming what people are going to buy more in a particular time frame and what in the next. You can very well place before then only those things, which will match their intent and yield conversion. If there is zero probability of getting results, marketing efforts go largely in vain. A lot many searches are performed by people every day to educate themselves about something of the other. Google tracks and records this data also. Google Trends provides with the related queries that people have, dropping a hint that you must provide answers to these queries in order to get visitors to your site. If you create how-tos, why-tos, tutorials, what-to-dos, steps-to, guides, FAQs etc. for the users on your website, you keep all the competition out of your way. People will come, stay longer and explore your website too. Retain them well. This is indeed a blessing in disguise. With the help of Google Trends, you can do a detailed analysis of the search volumes that a particular search term has in different geographical locations, in different categories, and in different time frames. You can target your marketing campaigns and advertising strategies based on the highest search volume settings and make the maximum out of it. You already know where you will find more customers. Make huge money. Using Google Trends for keyword research, comparing search volumes, predicting seasonal or recurring trends, preparing marketing strategy and crafting content is accelerating the process of online marketing. If you know how to tap the desires of the audience at any given instant into generating sales, you are always drenched in profits. Start using this excellent marketing tool along with your traditional tools, and turn the magic wand in the direction you want. You have Google Trends to make your work easier, faster and better.